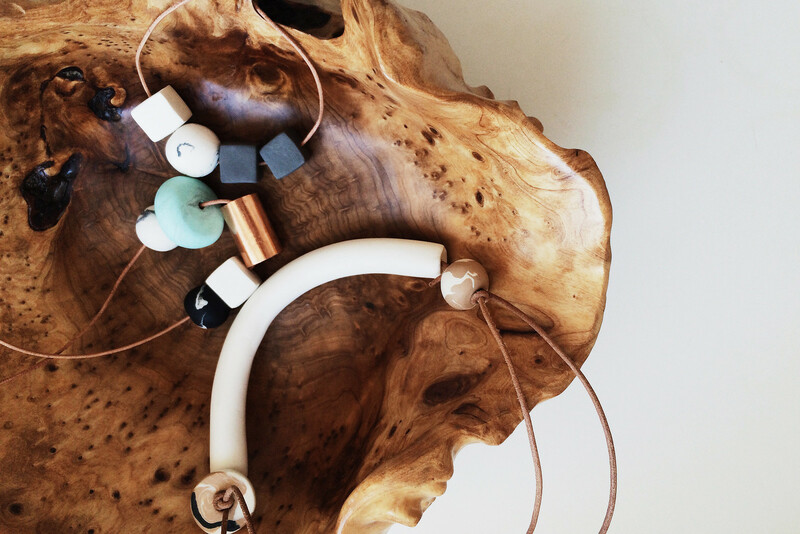 For designer Melissa Sonico, crafting necklaces is a natural extension of her creative being. 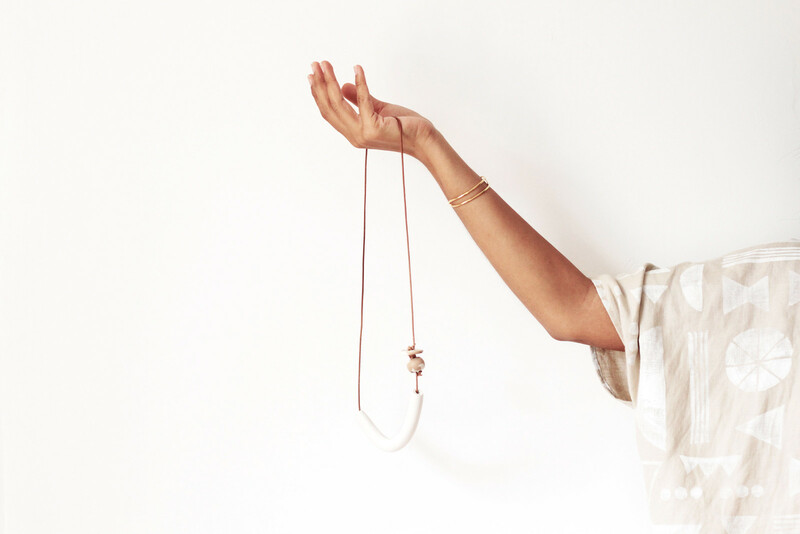 Beyond jewelry design, Sonico is a fiction writer and blogger, and her minimalist style carries across all mediums. We reached out to Sonico to hear more about all aspects of her work. 1) Tell us how you got your start in jewelry design. It started out as a hobby, making necklaces here and there on my spare time or with my nieces. But then I started wearing them out and people would come up to me asking where I got them. My friends all told me I should sell them and it all snowballed from there. I also wanted to make necklaces that were at a more affordable price point. 2) In addition to designing jewelry, you’re also a fiction writer and fashion blogger. Is your design work inspired by your other passions? How so? Absolutely. I feel like a lot of different aspects of my life– writing, fashion, music, art… anything creative– has got the same sort of minimalist (but meaningful) aesthetic. 3) Can you give us an overview of your creative process? For my jewelry, I look to color first. I gravitate toward neutrals with an occasional pop of color and then I see where the colors take me in terms of shape. There’s no real formula, really. Writing is a similar process for me, too, where I have just a small idea like a conversation someone might have with a stranger while waiting in line at the supermarket and then build a story around it. 4) What are your favorite materials to work with? My favorite materials are copper, leather cord, and of course clay. I’m wanting to incorporate more metals and maybe some cotton cord soon though. 5) Your blog is beautiful and your Instagram boasts over 76k followers. Any tips for fashion blogger hopefuls out there? My advice is to try not to force it. I didn’t try to conform to some sort of formula or worry about whether I’d gotten any followers on a given day. I post what I like in a way that’s pleasing to me, and hopefully it’s pleasing to others in the process. Like-minded people are going to be attracted to that. 6) What are some of your favorite places to Instagram? White walls, up and down the Pacific Coast, and pretty boutiques. 7) As a southern California native, do you have any favorite local artists? I absolutely love Satsuki Shibuya. Her watercolors are amazing, and she’s the sweetest person. I also love WKNDLA by Cindy Hsu Zell. Her wall hangings are perfect. 8) You’re already a multi-hyphenate, but what can we expect to see from you next? I’m looking to expand the made items in my online shop (as well as currently working on my fall line) and am hoping to soon have my own sort of general store where I’d sell my own items as well as that of other independent designers! Also, I’m working on getting more of my writing published. Next up on my plate though is being a mother. I’m expecting my first child in November which will be a completely new adventure! 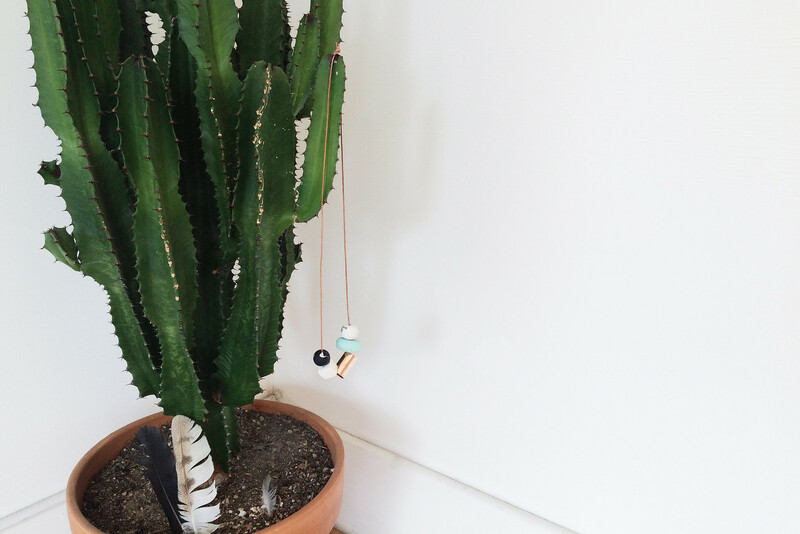 View the San Mateo Necklace, a Poketo exclusive by Melissa Sonico.